OPSA Trustee Kate Adie was awarded a CBE in the Queen’s birthday honour list, to go along with the OBE she was awarded in 1993. The award was given for services to the media in celebration of the Kate’s long and illustrious career as a journalist, specialising as a war correspondent. Now an author and freelance journalist, Kate has been a Trustee of OPSA since the beginning of 2018. This entry was posted in Uncategorized on November 9, 2018 by arielbruce. Did you see episode 7 of the latest Long Lost Family series? Broadcast on Tuesday 28th August, the episode focused on Maureen, who had been trying to find her brother Keith for 40 years. Keith was adopted at birth, with Maureen running into dead end after dead end in her search. After getting in touch with the Long Lost Family team, Maureen’s search made it’s way to Ariel and the search team, who set about tracing Keith. Little did anyone know, that this search would take them to Australia, where Keith had been living for 4 years, and now had 3 children and 8 grandchildren! Through the search work and intermediary services of Ariel and her team, Maureen and Keith are reunited in the UK. However the story doesn’t end there, as Keith wants to know more about the birth mother who gave him up all those years ago. This type of search work requires dedicated time pouring over birth records, for which expert help is needed. In this episode of Long Lost Family we see Charlotte Bruce-Lloyd, one of Ariel’s colleagues, explain to Keith how to pull apart search data, and piece together the circumstances which led to his being given up for adoption. If you missed the episode you can catch up on the ITV hub by clicking on this link – www.itv.com. This entry was posted in Uncategorized on August 29, 2018 by arielbruce. If you missed the first four episodes of the series, or if you just want to relive the emotional scenes, then you can catch up on the ITV Hub (click link). Where is Mark now? Can the two be reunited after all this time? Bronwen had always hoped to see her son again – will she finally get her chance? Tune into ITV1 at 9pm tomorrow night (14th August) to find out. Ariel Bruce and team provide all of the search work and intermediary services for Long Lost Family. This entry was posted in Uncategorized on August 13, 2018 by arielbruce. All at OPSA are delighted to be partnering with Emirates Airlines who will be flying the medical team out to Pakistan free of charge. We are very grateful to Emirates for their generosity, ensuring that as many medical volunteers can be flown out for each camp as possible. This way the charity can have maximum effect in the area and transform the lives of as many people as possible. Ariel hopes to join the medical team in Pakistan for the October Cleft Camp. It will have been a year since her last visit, so she is excited to get out there and get stuck in. As well as continuing to carry out life changing operations on babies and young children born with facial deformities, the OPSA team is developing the work it does with breast cancer sufferers in the area. With the help of award winning film maker Daisy Asquith, Ariel has started planning the filming of one of the upcoming Cleft Camps for a documentary film. Asquith, who has worked with Ariel in the past, is a lecturer at Goldsmith University, and is helping to pick out a young and talented film maker to join the medical team in Pakistan. More information to follow soon. This entry was posted in Uncategorized on June 12, 2018 by arielbruce. 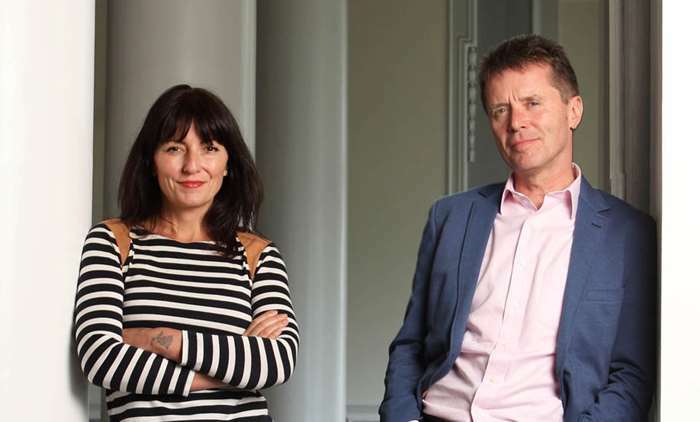 Former features editor of the Telegraph, Daily Mail and Independent, Genevieve Fox has released “a cancer memoir with a difference” (The Guardian), including a mention of Ariel Bruce. ‘Milkshakes & Morphine: A Memoir of Love & Loss’ was published in late January by Square Peg, Penguin Random House. The book details the life of Fox and her young family as they come to terms with her cancer, but also the legacy it has had on her life – orphaning her at the age of six as her mother succumbed to the disease. Not only does the book cover the cancer battle, but also the pains of growing up as an orphan. Fox’s brother came to Ariel to help track down their step father, which she duly did only to find he had died a few short months before. This entry was posted in Uncategorized on February 12, 2018 by arielbruce. In April 2016 Mr Justice Peter Jackson ruled that that Mr David Spencer was able to test the DNA of the man he thought to be his late birth father, in order to ascertain the threat of a possible hereditary cancer gene. The ruling was upheld by Lady Justice King yesterday (7th Feb) in a landmark case that could encourage more DNA testing in cases of possible hereditary health risk. “Knowledge of our biological identity is a central component of our existence,” the judge said… “The establishment of the truth is a goal in itself”. Mr Justice Jackson ruled that “knowledge of our biological identity is a central component of our existence” when allowing the DNA tests to go ahead in 2016, going as far to say that the tests would “serve the public interest”. Lady Justice King highlighted the “interests of the living in knowing their biological identity”… it was “inevitable and right” that Mr Spencer’s wishes should be granted. In upholding the ruling at yesterday’s Court of Appeal, Lady Justice King highlighted the “interests of the living in knowing their biological identity” and said that it was “inevitable and right” that Mr Spencer’s wishes should be granted. Read the full article here – The Times. This entry was posted in Uncategorized on February 8, 2018 by arielbruce. 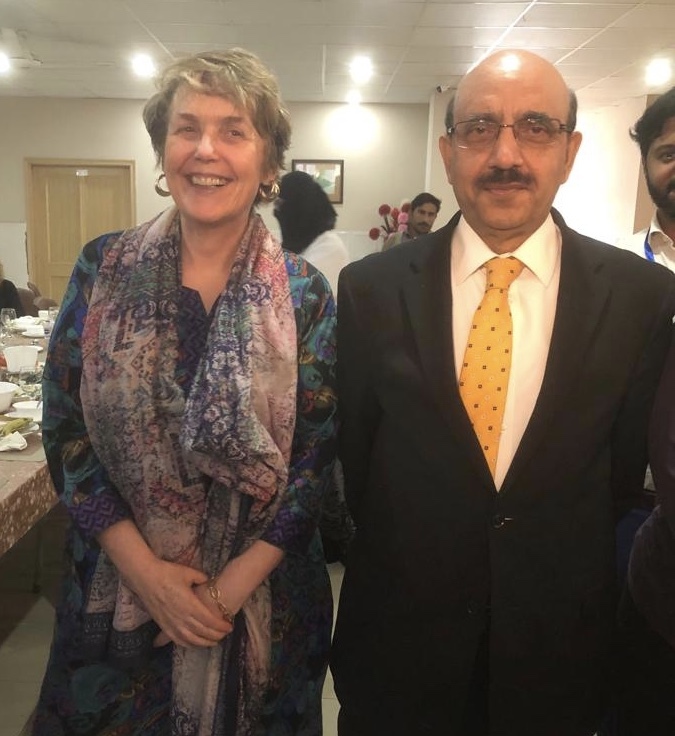 Ariel has been a supporter of the Overseas Plastic Surgery Appeal for some time, visiting Pakistan with the team last October, witnessing first hand the vital work they carry out. On a recent trip to OPSA’s HQ in Hull for a trustees meeting Ariel was made a trustee of OPSA. Ariel will focus on recruiting Ambassadors to join the OPSA team to help to promote the work being undertaken. Alongside Journalist Kate Adie and actors Stephanie Cole and Debra Stephenson, Ariel will invite more Ambassadors from the sporting and entertainment world. This entry was posted in Uncategorized on February 7, 2018 by arielbruce.